There is an alias name for this Samsung Galaxy S Advace GT I9070. If you find a phone with 4.0-inch display, using Super AMOLED capacitive touchscreen, with 16M colors and 480 x 800 pixels resolution, called as Samsung Galaxy S II Lite, that actually the other name (alias) of Samsung GT I9070. Powered by dual-core 1GHz Cortex A9, this device runs on Android Gingerbread 2.3.6 (though upgradable to Jelly Bean 4.1 OS). You can have 8GB version or 16GB version of internal storage on this Galaxy S Advance. The more the storage, the higher the price is. NovaThor U8500 Chipset, Mali-400 GPU, 2GB ROM, 768MB RAM with 5MP rear camera and 1.3MP front camera also others specifications that make this device complete. You may know that Sony Xperia U ST25 has the same design, concept, and even hardware and software with Sony Ericsson ST25i Kumquat. It's actually the same device but with an alias name or new brand name. In US this phone uses ST25a version which is works under 3G HSDPA 850/ 1900 / 2100 MHz frequency. On the contrary, the ST25i version only uses 3G 900 / 2100 MHz frequency. The rest of it is similar. The phone designed as touch-bar form factory with 3.5 inches display. It's only support up to 4 fingers multitouch, but it has scratch-resistant protection glass. 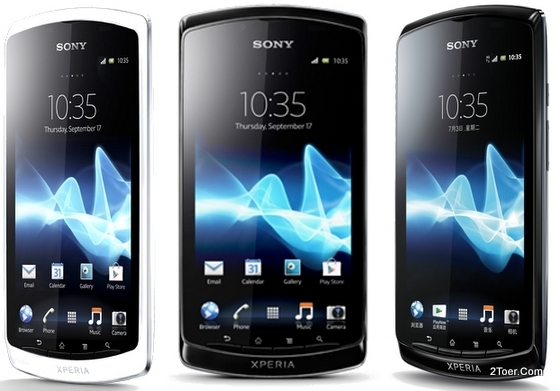 As Xperia series, Sony Xperia U uses Android OS for version 2.3 Gingerbread (on the release date by February 2012), but it's upgradable to version 4.0 Ice Cream Sandwich. The processor uses dual-core 1GHz Cortex A9 with 512MB RAM. NovaThor U8500 and Mali-400 are chosen as its chipset and GPU. The battery is removable with Lithium Ion 1320 mAh capacity. There is no external memory card slot (that's why we don't give you the tutorial at this post), and only 4GB user available memory storage (the total internal built memory actually 8GB). There is only 300MB user internal storage available for this Sony Xperia neo L MT25 from the original 1GB built-in memory. Therefore, the microSD external memory card is a must for this device. Therefore we gonna provide you a tutorial on how you could properly install this external memory card. This 4.0-inch display touch-bar smartphone is equipped with LED-backlit LCD capacitive touchscreen and has 480 x 854 pixels resolution. The Operating System, of course, runs on Android OS. It currently uses Android version 4.0.4 Ice Cream Sandwich. For the hardware: There is 5MP rear camera, there is VGA front-facing camera, Processors uses 1GHz speed (Scorpion) with Qualcomm MSM8255 Snapdragon chipset, and Adreno 205 GPU. Just by its name, Samsung Galaxy Music can be concluded that this 3-inch smartphone (display size diagonally measured) is a phone dedicated for Music experience. Some of the features that supports this conclusion are the dual frnotal speakers, surround sound SRS with SoundAlive 2 enhancement, and more. 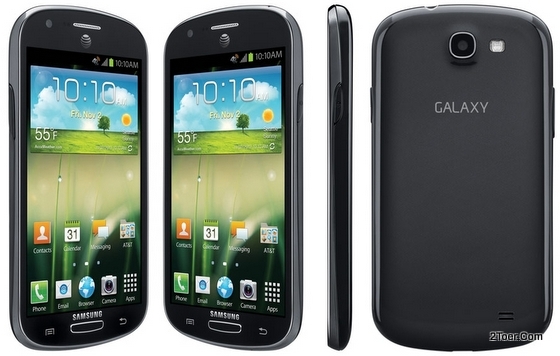 Galaxy Music GT S6010 runs on Android Operating System with version 4.0.4 Ice Cream Sandwich (it said that the device is upgradable to Jelly Bean Android 4.1). The Processor uses 850MHz Cortex A9 with 512MB of RAM. The internal memory only has 4GB but there is a microSD external slot if you need additional storage (not included, need to buy it separately). The Camera only has main rear camera for 3MP without front facing camera. Windows Phone 8 OS by Microsoft isn't an Operating System that identical to Nokia. It can be applied by other smartphone or tablet's manufacturer. Samsung Ativ S GT-I8750 is one of the smartphone by Samsung Vendors that runs under Microsoft Windows Phone 8. 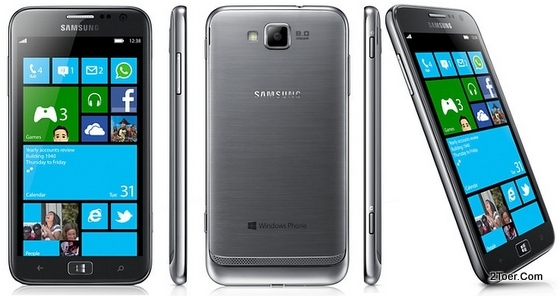 The "Ativ" brand itself is the brand for Windows Phone OS for Samsung's smartphone. The phone designed with touch-bar form factor at large screen display 4.8-inch (measured diagonally). The resolution of on this display even achieves 306 ppi (pixel density) on its 720 x 1280 pixels resolution. Along with WP 8, dual-core processor with Krait 1.5 GHz speed is installed. There are Adreno 225 for GPU, Qualcomm MSM8960 Snapdragon chipset and also 1GB of RAM. Samsung Ativ S comes with two optional internal memory. The 16GB and 32GB. There is 32GB external slot maximum that you can use to expand the memory. As a smartphone, Wi-Fi, USB, Bluetooth, 3G HSDPA up to 42Mbps, and even NFC are also ready to be used. The 8MP camera with LED also able to record HD Video at 1080p@30fps. The basic tutorial for Nokia Lumia 920 should be written in short post. That because this 4.5-iches phone didn't equipped with microSD slot for external storage, nor the removable battery. Yes, the battery used in this Windows Phone 8 phone (the Operating System is used on Lumia 920), is non-removable type with Li-ion 2000 mAh battery capacity. Without external slot memory, Lumia have been assembled with 32GB internal built-in memory with 1GB RAM, dual-core 1.5GH Krait processor, Adreno 225 GPU and Qualcomm MSM8960 Snapdragon chipset. The 4.5" display uses IPS LCD capacitive touchscreen at HD resolution (768 x 1280 pixels) and is protected with Corning Gorilla Glass 2. There are 8 Megapixel camera on the rear side and 1.3MP on the front side. Depend on region and carrier, the phone supports for 4G LTE and 3G GSM HSDPA Networks. 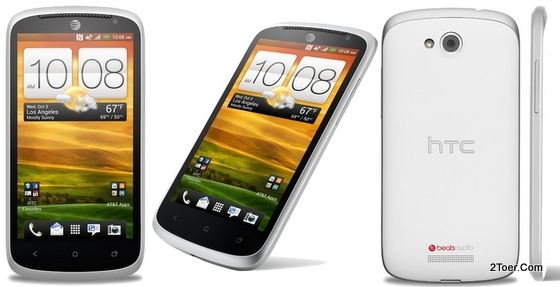 HTC One VX as far as I know is special Android Smartphone designed for AT&T Carrier. But, not I would not limited or denied if someone find this phone in other Mobile Carrier or in unlocked version. The phone designed to be worked on 4G LTE AT&T data networks and uses GSM technology for up to 42.2 Mbps (HSDPA). The Android version runs on this device is Ice Cream Sandwich version 4.0. This 4.5-inches phone is manufactured using Super LCD2 capacitive touchscreen and installed with HTC Sense UI verion 4+. Comes with 540 x 960 pixels resolution on 4.5" display made this One VX acquired 245 ppi pixel density. Quite good enough. Dual core 1.2GHz is used as Central Processor Unit, with the Chipset come from Qualcomm MSM8930 Snapdragon, Adreno 305 as GPU, and has 1GB of RAM. For anyone who love to use qwerty keyboard (physically) from Samsung Mobile Phone vendors along with Verizon Wireless (US), you can try this Samsung Galaxy Stratosphere II. The real keyboard can be slide from the side of the phone along with large touchscreen display. Whether you love to type on physical keyboard or onscreen keyboard, this SCH-I415 will always ready for you. It's because the display touchscreen is quite large. It uses Super AMOLED Capacitive touchscreen with 4.0 inches diagonally size of the display. Because the combination of this touch and physical keyboard, you can called that this Samsung Galaxy Stratosphere 2 SCH I415 is slider-touch smartphone. This phone is equipped with 5Megapixel Camera and runs on Ice Cream Sandwich OS (Android version 4.0.4). On the hardware side, there are Qualcomm MSM8960 Snapdragon chipset, dual-core 1.2GHz Krait and Adreno 225 for the GPU. The internal memory uses 8GB with 1GB RAM. Basically, this phone works under CDMA networks along with Verizon Wireless. Supports for EVDO REv.A up to 3.1 and 4G LTE. 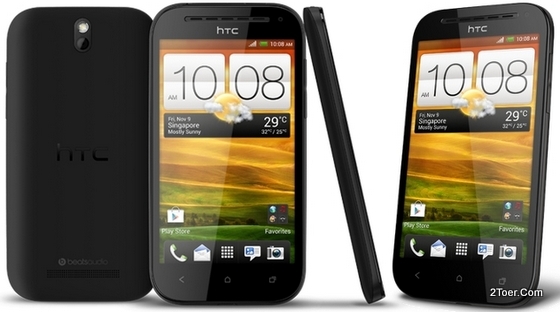 Depend on your carrier, the HTC One SV is available for CDMA type and GSM type for supporting data networks technology. Some of them also bundled with mobile provider therefore you don't need to know how you could inserting the microSIM on this device. Most of them also supports 4G LTE technology. This 4.3-inch smartphone is powered with Ice Cream Sandwich OS (version 4.0.4) and quite good hardware: dual-core 1.2GHz processor, with 1GB of RAM. Super LCD2 Capacitive touchscreen is used as touchscreen display along with HTC Sense UI and coat-protected with scratch resistant of Corning Gorilla Glass 2. The Internal memory has 8GB capacity. The "dual" term on Sony Xperia E dual C1605 and C1604 means that this smartphone is a dual SIM card supports. You can have to different phone's number inside the Xperia E dual, so do you can get two difference Mobile phone Carrier / Provider. The difference between C1605 and C1604 series on this device is on the matter of 3G HSDPA supported networks frequency. The C1604 supports HSDPA 850 / 1900 / 2100 Mhz frequency, C1605 supports HSDPA 900 / 2100 MHz frequency. It's seems this dual phone is designed only for GSM type. Sony Xperia E dual comes with Android OS of Ice Cream Sandwich version 4.0.4 in which it's powered by 1GHz Processor Cortex-A5, Adreno 200 GPU and for the chipset, the Qualcomm MSM7227A Sanpdragon is the chosen one. There is only 2GB internal user memory available (4GB total) but the external storage slot for microSD can be used for maximum 32GB. The RAM is equipped with 512MB. 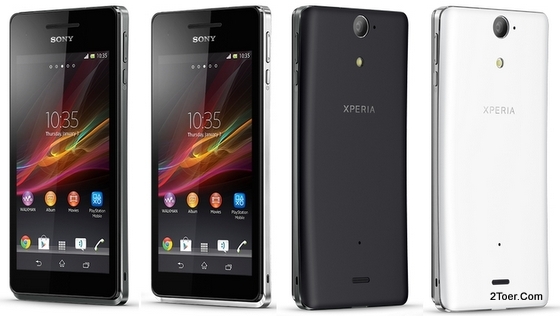 Considering this specs, I guess, the Xperia E dual is not quite high-end smartphone, In my Opinion. HTC Windows Phone 8S is a kind of "downgrade" version of HTC Windows Phone 8X: especially on some features such as resolution display, internal memory, camera, ram and also CPU. I don't wanna compare both of them at here, but just wanna give you short information about the specs of WP 8S. 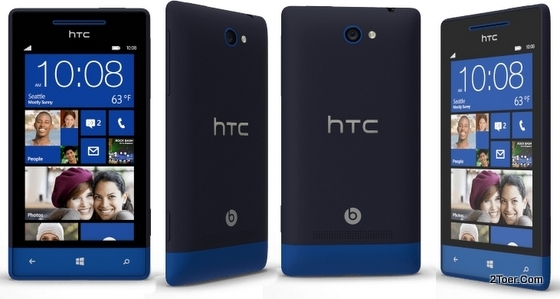 Designed with 4.0 inches display of Super LCD Capacitive touchscreen, the HTC Windows Phone 8S uses 480 x 800 pixel resolution at 120.5 x 63 x 103 mm body size dimension. This phone has 113 gram weight. No question that the Operating System is Microsoft Windows Phone 8 (as it's used as the name of this device). The dual-core 1GHz Krait processor, 512 RAM, 4GB internal memory are installed on this device. There is no front camera, but it has 5MP camera as main camera on the rear side. The reason we choose this Samsung Galaxy Camera EK-GC100 to be discussed at this time because the uniqueness of this device: An Android powered inside the physical Camera body. Yup, the Galaxy Camera runs on Android Jelly Bean OS (version 4.1; upgradable to JB v4.1.2) and it's a Camera (with 16.3MP Camera, 21x Optical Zoom, and pop-up Xenon flash). It's equipped with wide-angle 23mm lens, geo-tagging, touch focus, face and smile detection, optimal image stabilization and HD video recording. The processor quad-core 1.4Ghz Cortex A9 is used as the brain of the camera. It's also accompanied with Exynoss 4412 quad and Mali-400MP GPU. Most of Android phone's abilities are also acquired on this Galaxy Camera, except for data voice communication. There are Wi-Fi, Bluetooth, 4G LTE data networks (depend on region and carrier), GSM data networks up to 3G HSDPA 21Mbps, microUSB, and also access to Google Play Store. You can even browser the internet via this device, including accessing your favorite social network such as facebook, twitter and else. As mini version of Samsung Galaxy S III, the GT-I8190 has downgraded specs of SGS3. The size only uses 4.0 inches, the RAM only uses 1GB RAM, the resolution of the Super AMOLED capacitive touchscreen only uses 480 x 800 pixels, the Camera is attached only with 5 Megapixels, etc. As for the CPU, this SGS3 mini is powered with dual-core 1GHz Cortex A9 along with Mali 400 GPU and NovaThor U8420 chipset. Android Jelly Bean for version 4.1 is chosen as the Operating System. There is no additional "downgrade" on the matter of data connection capabilities: NFC, Wi-Fi 802.11 a/b/g/n, Wi-Fi hotspot, DLNA, Wi-Fi Direct, microUSB version 2.0, Bluetooth version 2.0, are all ready to be used. On global market, the phone unlocked version is available in GSM type (HSDPA up to 14.4 Mbps), but it might varied depend on region. If you looking for the basic tutorial for LG Cayenne such as how to do Hard Reset or insert the microSD memory card, you aren't visit the wrong page. Although we entitle this post for LG Mach LS860, it actually can be applied for LG Cayenne. It's because LG Cayenne is other name of LG Mach. But for LG Mach LS860 it's specially designed for Sprint Carrier (in US). This phone's powered by Android Ice Cream Sandwich v4.0 and installed with dual-core 1.2Ghz processor, and has 1GB RAM with Qualcomm MSM8960 Snapdragon chipset. There is a microSD card slot for external storage for up to 32GB, in case the 8GB internal memory isn't enough for you. This phone with 4.0 inches display diameter is been bundled with Sprint carrier which make there is no need to insert the mobile provider sim card on this phone. This is why we do not give you the tutorial on inserting the sim card. The phone has a physical keyboard than can be slide it out. It's designed as slide touch form factory. There is one important information about this Sony Xperia P LT22i that you had to know in order to avoid any disappointment, especially if you had a kind of video-holic or smartphone photograph hobby. It's 13GB storage the user available memory on this device that can't be expanded thru any external memory card might a big problem for you. With just only 13GB you'll get a limited space on the phone, more specificly if you love to record HD video with 8 Megapixel camera on this phone. The phone has 4.0 inches display size and its a touch bar phone. Android version 4.0 (ICS) already released for this phone, but at the previous version it only used Android Gingerbread v2.3. There is a news that the upgrade to Jelly Bean Android v4.1 will be available soon. The RAM on this Xperia P LT22i uses 1GB capacity along with dual-croe 1GHz processor speed with Mali-400MP. As we mentioned above that there is no microSD card slot, it means that there is no tutorial on how to insert the SIM card. Moreover, the battery is non-removable, nor replacable; and of course we don't provide the tutorial on assemble or remove the battery, nor on opening the back cover case. The tutorial on how to insert the micro SIM card, put the microSD memory card, and others tutorial on this article are dedicated for Sony Xperia V LT25i. Although it's also works on Sony Xperia AX and Sony Xperia VL. The special feature comes with this smartphone is that it's IP57 certified for dust and water resistant / water proof (30 minutes on 1 meter of pool / water). Sony Xperia V design uses touch bar form factory with 4.3 inches. Its has about 120 grams along with removable and replacable Li-ion 1750 mAh battery. Before you can use the phone and turn it on for the first time, here are some of basic step need to be done before that. 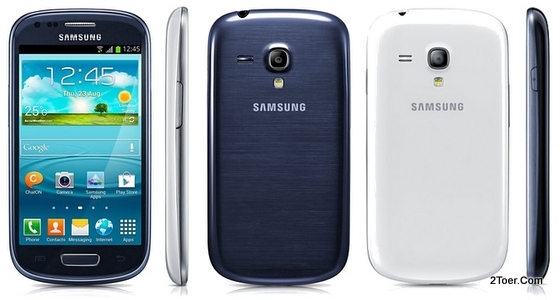 Samsung Galaxy Express is an Android powered phone specially designed for AT&T carrier. With 4.5 inches display screen size, this SGH-i437 has quite large Super AMOLE Plus capacitive touchscreen. The Android version runs on this device is Android Ice Cream Sandwich version 4.0. There is no information about the availability of upgrade version to Jelly Bean. In US, it's a common behavior that the Smartphone's vendors make a deal with the provider carriers to bring their gadget top consumers . That why Samsung brought this Samsung Galaxy Note II in several version depend on each mobile carrier. For this SGH-T889, it's the Samsung Galaxy Note 2 (II) for T-Mobile Carrier. We are here in the matter of guiding you on how you can works with this Note 2 for T-Mobile for the first time (if you have already bought it). For your information, this 5.5 phablet (phone and tablet type) powered with quad-core 1.6GHz processor speed with Exynos 4412 Quad chipset, Mali-400MP GPU and for the good, the 2GB RAM. You can choose whether you like the Titanium Gray or Marble White colors for the body casing. The Internal memory has 16GB (may varied) and it can be added with up to 64GB microSD external memory capacity. Of course we'll guide you on how to insert this external memory on Galaxy Note II for T-Mobile. In case you miss landing on this page due to you looking for the Samsung Galaxy Note II GT-N7100 (Global version), just click here to read its basic steps instruction. Although the version of this Samsung Galaxy Tab 2 7.0 is the one which support GSM voice communication data including SMS and MMS (the GT-P3100 series version), but this writing post also can be applied for the Wi-Fi only version of Galaxy Tab 2 7.0 (the GT-P3110 version). Especially the guidance on how to charge the battery, the reset tutorial, and insert external microSD card slot. By default, the OS is used on the Tab 2 7.0 is Android ICS for version 4.0.2 (Ice Cream Sandwich), but it been said that the phone is upgrable to version 4.1.1 (official update). It is powered by PowerVRSGX540 GPU with dual-core 1GHz processor and TI OMAP 4430 chipset. The RAM is installed with 1GB capacity with optional internal storage for: 8GB, 16GB, and 32GB. There is a external storage card slot for expandable user memory. Personally, after looking a kind of answer on the internet what the meaning of SL on this Sony Xperia SL, we have to say that we don't know the reason Sony choose this letter combination. We also don't understand why the smartphone which designed on 4.3 inches touch bar and has high camera resolution at 12 Megapixel choose the LT26ii as its series name. So forget about it. You don't need to know those kind of information though. You are here, we sure, to looking some answer regarding with Xperia SL SIM, Cover or Resetting explanation. But, we are not gonna give you a tutorial on how you can insert the external memory card on this device. Whatever you try to search this kind of guidance, I bet, you'll never ever able to find it. It's because the Sony Xperia XL LT26ii didn't have any external microSD card slot on their architecture. The reason behind this? It's just an option. 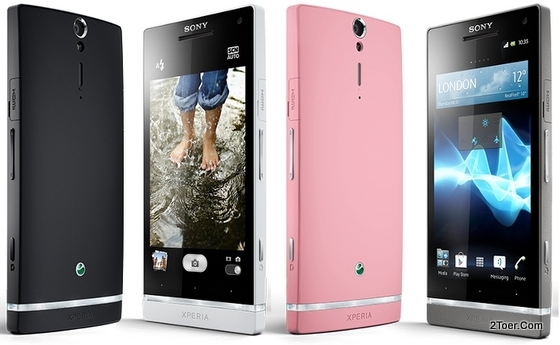 If you wanna have a phone with memory card slot, just choose another one: Sony Xperia J would be good for you.